Enrique Martí Aguilera is an Industrial Design Engineer who holds a Master in Design and Product Development from Cardenal Herrera, CEU University, Spain. His nine years with the Spanish company Andreu World SA, culminating in the position of Product Manager managing the Design and Technical department, rewarded him with extensive experience in the furniture business as well as with in-depth knowledge of market needs. 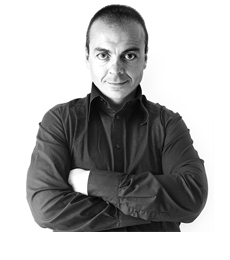 Today, Enrique is the founder and director of Enrique Martí Associates, specialising in designing and developing new products for major, established leaders in the furniture industry in Europe and Asia. He is also the technical advisor and product/art director in some of these companies. Look out for Enrique’s latest designer chair, Revival, produced in partnership with KIAN’s manufacturing expertise.